Over this past summer, one Pace student traveled 4,676 miles across the Atlantic Ocean to Switzerland to study singing and acting. 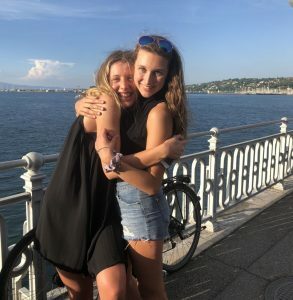 Sophomore Audrey Holton spent two weeks in Geneva at a program led by the Juilliard School. Juilliard, a leader in the education of performing arts, has many summer programs, including trips to Switzerland, China and Florida. These expeditions allow students to engage themselves in the world around them while studying their art of choice under trained professionals. “I learned about the trip through researching college programs,” said Holton. Holton, who has been singing for eight years, joined the Pace family her freshman year and has already made a mark on the community. 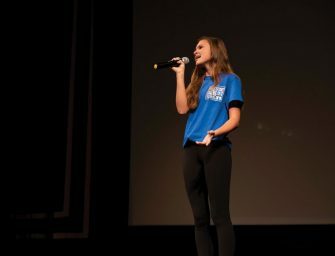 She auditioned for and got a lead role as a narrator in the 2017 Pace fall musical, “Joseph and the Amazing Technicolor Dreamcoat.” Holton performed at last year’s Cabaret, singing Donna Summer’s “Last Dance.” She also explored performing arts in New York with the upper school chorus last spring break. Holton was recognized as a 2018 Pace Arts Laureate, chosen by her classmates for exhibiting a true passion for singing. 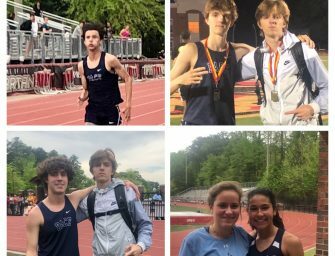 “She is naturally talented, but also has a great work ethic,” said upper school chorus teacher Susan Wallace. In Switzerland, Holton stayed at Collège du Léman boarding school, a short drive from the center of Geneva. “The group consisted of people ages eight to 18 from every country you could imagine,” she said. Their days were strenuous; they worked from nine to five, where they had private voice lessons and choir rehearsals. Most days ended with leisure activities, though, including time to explore the city on their own. According to Holton, she is excited to be able to apply her new skills to upcoming shows and performances at Pace. She is now preparing for her role of Mrs. Potts in the fall musical, “Beauty and the Beast.” “She has great heart and determination,” said Visual and Performing Arts Chair Sean Bryan. “That kind of work ethic is already proving that she is very serious and interested in this art form.” Holton hopes to continue improving her singing talent, as well as learn to play the piano in the near future.